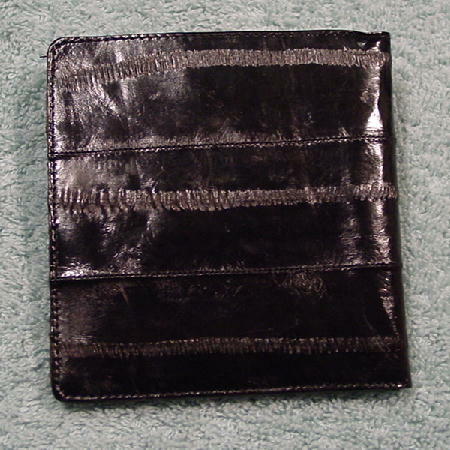 This vintage black eelskin wallet has a "man's" billfold styling. When opened, you'll find it has 5 card compartments on the left side. 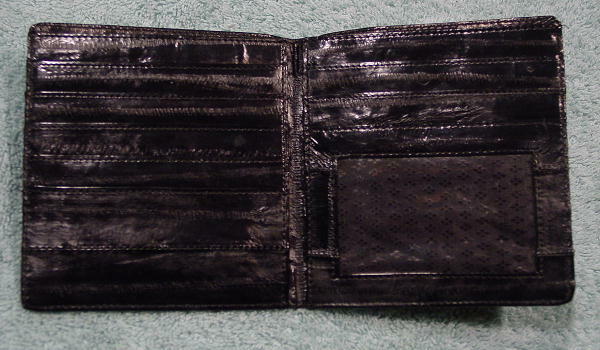 The right side has one large round window compartment and 2 more card compartments above that. 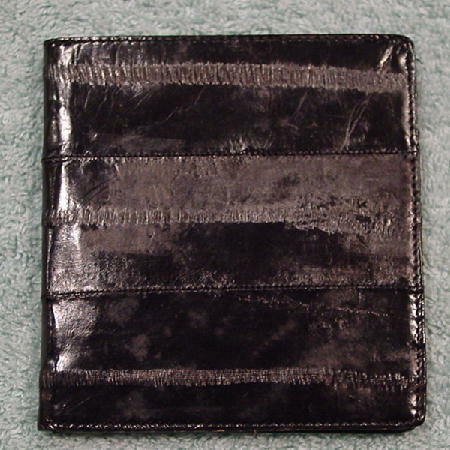 The top opens up to reveal the dollar bill section, which has a patterned black lining. It's from a stylist's collection of props. A model used it in a magazine photo shoot to pull out money at a bistro.